Katie Drozd is an associate in the Fort Lauderdale office of Lewis Brisbois, and a member of the General Liability Practice. 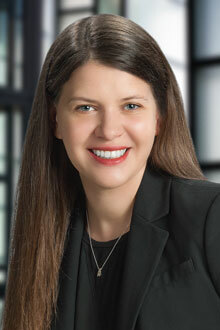 Ms. Drozd’s practice areas focus on defense of construction defect and commercial liability claims litigation. Additionally, Ms. Drozd has an extensive experience regarding The Florida Bar’s grievance complaints and attorney discipline, including disciplinary trials and referees’ appeals to the Florida Supreme Court. During law school, Ms. Drozd served as an Associate Editor of the Nova Law Review and as Fellow for the Florida Bar Foundation. She is fluent in Russian.